I’m Kimberley Bell, a certified life coach and author of the book Empowering YOU. 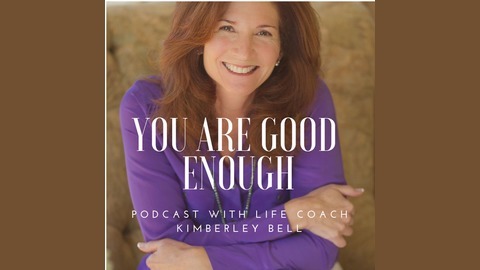 My podcast YOU Are Good Enough offers perspectives from insightful individuals and from my work as a transformation life coach that can help us realize (and reclaim) our personal power! Whether it's more self-love and confidence you want to foster or balance in your life you want to create, tune in for practical tips and guiding perspective! 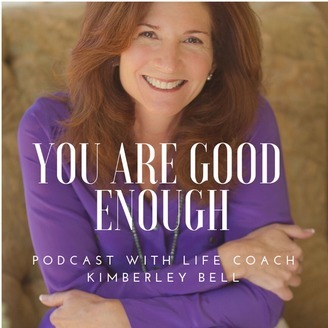 Dr. Anne Powell and Transformation Life Coach Kimberley Bell chat about strategies and perspectives parents can use to raise empowered, strong adolescents in today's world. Many children and teens are experiencing a crisis of self-worth. Dr. Anne Powell, who specializes in Adolescent Medicine and Obstetrics & Gynecology and is also an assistant professor at the University of Massachusetts Medical School talks about the issues she sees most in her practice. She offers ways parents can reconnect with their children through vulnerable dialogue and active, compassionate listening. In this episode, the two talk about the role parents play in modeling behavior, how kindness and weakness are not the same thing, and how belonging and feeling loved are essential foundations for empowered children. Ep. 23 - 3 Steps To Like Yourself! Ep. 22 - 3 Steps to Feel Better NOW!